Coach Ricardo Gareca says Peru must recover quickly from losing their first game at a World Cup finals for 36 years to bounce back against France and keep their Russia 2018 hopes alive. Kasper Schmeichel's acrobatic saves for Denmark and Yussuf Poulsen's clinically taken second-half goal ended Peru's 15-match unbeaten run in a 1-0 defeat in Saransk. Despite near-deafening support from their huge army of travelling fans at the Mordovia Arena on Saturday, Peru drew a blank in their Group C opener. Midfielder Christian Cueva blasted his penalty attempt over the crossbar, after the video assistant referee spotted Poulsen's foul on him just before half-time. 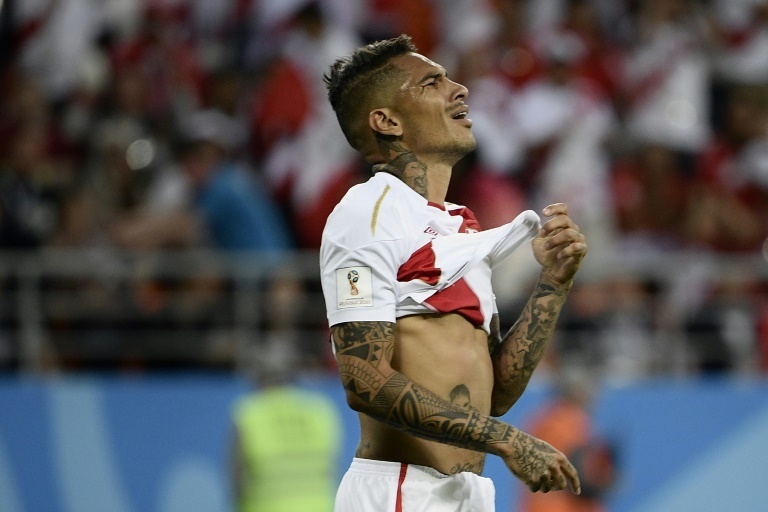 And Paolo Guerrero, who won a late reprieve to play in Russia after his drugs ban was over-turned, went close with a string of chances after coming on for the final 30 minutes. "The result doesn’t really reflect what happened on the pitch, but football is all about being effective," said Peru's Argentinian boss Gareca. "We had an enormous amount of fans and it was sad they came so far to see us lose, they deserved at least a draw. "We didn't deserve to lose, but we can't cry over spilt milk." After losing their first match at a World Cup finals since 1982, Peru need a good result against France at Ekaterinberg next Thursday before facing Australia on June 26 in Sochi. "Losing the first game doesn't mean we are out," said Gareca. "We need to see where we can correct our mistakes to face France in the best possible manner." Despite his drugs ban, Gareca said Guerrero was "fast and up to the pace of everyone else, which is crucial," and hinted the 34-year-old might start against France. "It's sad, because the team played a great game, we had many chances and unfortunately we couldn't convert them," said Guerrero. "There are two games left, we hope to recover against France and then for Australia, we have to raise our heads fast. "You always have to respect the decisions of the coach and when he requires me, I will be ready. "We know that the next match will be tough, but we have the right conditions to win."